"we are extremely happy to see how well he has progressed. Xavier is now putting sentences together, asking us questions, focusing more on tasks, carefully listening to instructions and behaving much more maturely than before. The progress has been significant and noticeable, not just by us, but by our families and friends too." Sela is an amazing third grader! This year, she entered the Gifted program at school. She loves to read and talk on the phone. 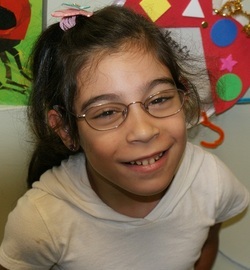 She is bilingual and began in therapy at age 2 because she was not talking or communicating. Sela's story is unique because both of her parents are Deaf and her first language is American Sign Language. By the time she was 4, Sela was dismissed from therapy and has been soaring ever since! 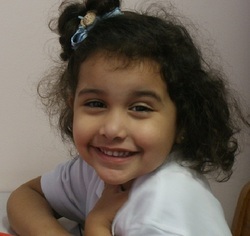 Ishtar recently recieved hearing aids for the first time through the Batchelor Help Them To Hear scholarship program. At age 6, with multiple challenges, improving her hearing will bolster her overall development and abiilty to interact with others. Her mother wrote to express her gratitude, "Thanks for helping her hear better. I would like to thank the audiologist. Her patience with my daughter was enormous! This is something new in our lives but her words and guidance uplifted me Thanks a lot!" Samanta was not talking, and her mom was really concerned. 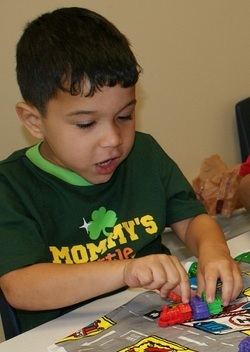 The speech and language screening HSCF conducted at the childcare center she attended confirmed her mother's suspicions. 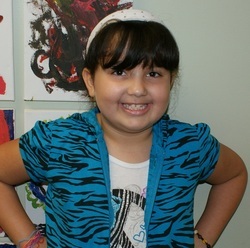 As a result of the screening, Samanta was enrolled in therapy. Her mom is grateful that she was identified early because she received the help she needed to be ready for Kindergarten this school year!